At TrustBilt, we make dreams come true! Have you been perusing through design magazines and online websites that offer good remodeling ideas but fail to be realistic on costs? At TrustBilt of Albuquerque, New Mexico, we have good news for you. We offer affordable remodeling packages for everyone, and we can show you how to transform your space on a budget. Before you ever begin a remodeling project with a licensed professional, you should pay close attention to details. Whether you want to renovate your current space or just moved into a new home that needs to be adapted to you needs, make sure that you cover all the options when it comes to design. You can expect to pay some money to keep your home updated and comfortable. However, you do not have to break the bank for good design elements or details. No need to go with luxurious design if you are more of a lay back, easy going individual. The most important element that you can incorporate into your new space is your personality. Chances are, you have a pretty good idea what you already want and need to make the space your own. Living rooms are the place where family and friends hang out, so you do not want it to be too stuffy or so plush that no one can relax. You can increase elegance through lighting and molding and keep the room relaxed enough to kick back and read your favorite novel. If you have small children in the home, think about storage spaces for toys and books etc., which can be incorporated into the design without taking up too much of the area. We offer great design ideas that can add elegance and practicality to your living room space while meeting the needs of everyone in the home. Where do you begin each day? Most people will answer, “In the bathroom.” This is all the more of a reason to make sure that you pay attention to details when remodeling or renovating your bath area. Almost every one of our customers desires a space that looks chic and feels luxurious. Marble counters and floors are a beautiful design element that can be affordable and make the bathroom more inviting. Cast iron tubs are coming back as a must have, but regardless, make sure that every element down to the lighting and electrical switches are exactly where you want them to be. Nothing feels more relaxing than a bathroom that is laid out to meet your custom needs, so don’t feel pressured to rush through the process of creating that perfect design. Do You Need a FREE Remodeling Estimate? 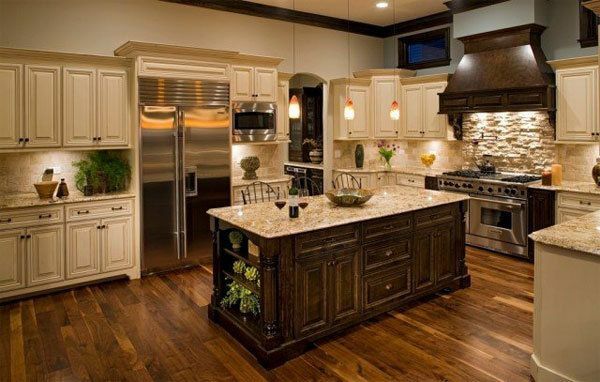 TrustBilt of Albuquerque, New Mexico offers free estimates on remodeling and renovations of your home or business. Contact us at 505-688-8194 today. We provide services throughout New Mexico, including Santa Fe and ABQ, NM areas. 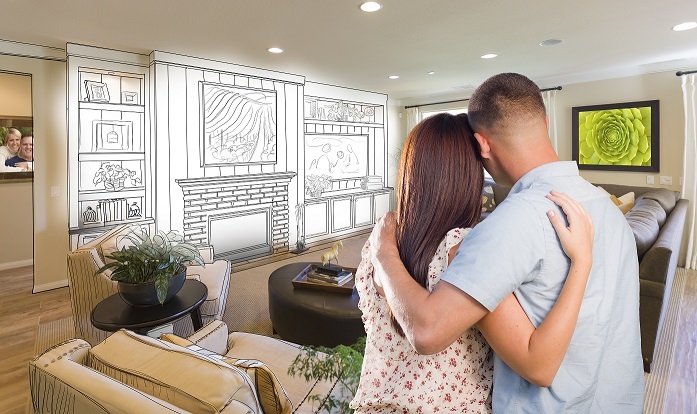 Why Do Many Customers Wait Until Summer for a Remodel Project? At TrustBilt of ABQ, New Mexico, we have been in the industry long enough to understand why our customers choose summertime for major remodels. There are several good reasons why summer is the most popular time of the year to take on a remodeling project. Here are some facts that may help you understand why many customers wait until summer for a remodel project. The summer season brings with it longer days and nights that help the construction crew be able to work extra hours and get the project accomplished faster. With that thought in mind, who likes a remodel job that appears to be unending? Fortunately, we have never experienced such a remodel, but we have heard the nightmares of some of our competitors. We like taking advantage of longer work days and getting the job done, making both our team of professionals happy and our customers! Not only does summer bring with it warmer temps, but it also allows for applications of texture, paint, and other design elements to dry more quickly. We can open the windows and apply stain, sealer or paint, and it will dry in half the time. Also, if you have ever had a remodel done before, then you know the fumes of paint and other products can affect some members of your household. The outdoor summers in New Mexico make for a nice match when it comes to keeping your indoor air quality bearable. Take a Vacation and Leave the Remodel to the Professionals! At summertime, many families like to take vacations. Vacation time is a prime time for a remodel, as no one in the family needs to be exposed to paint smells or dust. Sometimes this is a significant factor in why our clients book their remodels in the summertime. 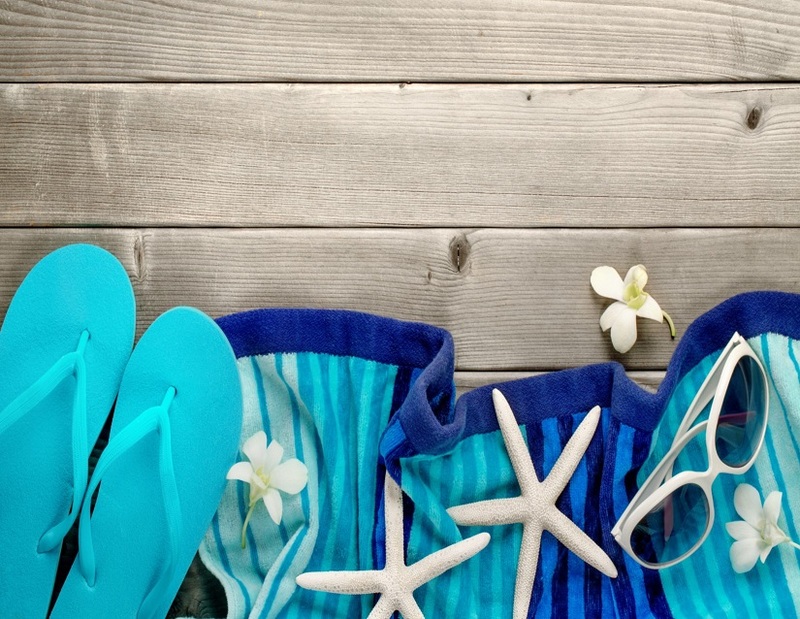 We stay in touch with our customers, as little or as much as they want during their vacation. We can send pictures and updates and may need to ask minor questions of our clients, so having a contact number makes the project go smoothly without a hitch. 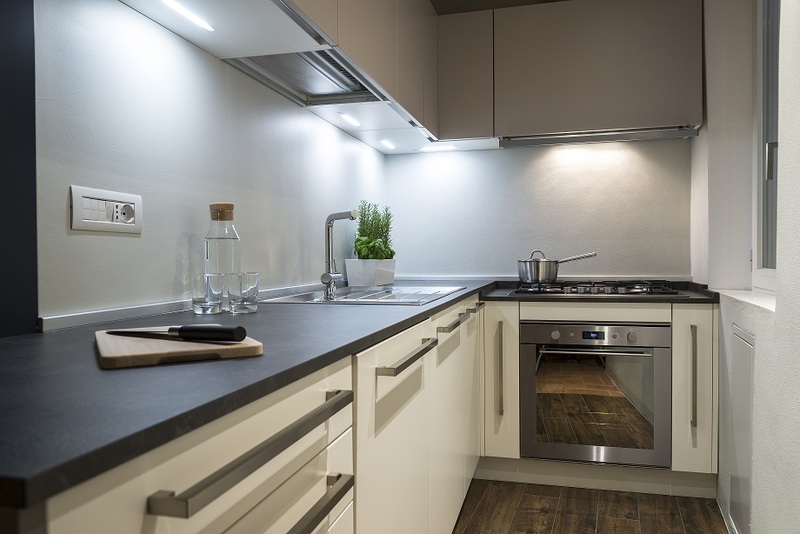 When you plan to come home after the remodel is done, you will experience a clean and ready to use refurbished area without any of the fuss of dust or odors. If your remodel includes a porch, patio or deck, it directly affects your yard space. When we finish the building of your new area, we then replace grass or do final stages of outdoor landscaping. During the summer, it’s prime time to plant new bushes and plants, as they will grow quickly. Also, this allows for the flow of your new outdoor area to come to life faster than in other times of the year. Book Your Summer Remodel Now! When Is The Right Time For a Bathroom Remodel? As you already know, the bathroom in your home is considered a high traffic area. Bathroom remodels are commonly needed every fifteen-twenty years. Why is that the case? Any room that consists of a water source like a bathroom, often encounters wear and tear earlier than other rooms in your home. Moisture causes earlier breakdown, and more often than not, once a leak has been detected, it is too late to salvage existing materials. This is mainly due to mold and mildew damage that begins within 24-48 hours after water damage occurs. If You Need a ROI, the Bathroom is a Great Place to Start! Homeowners who want to earn a return on investment (RIO) understand the importance of a bathroom remodel. If you plan on selling your home, a bathroom remodel can help immensely. Buyers constantly look at bathrooms and kitchens to see if they will fit their needs. If the bath is outdated, dingy and contains inadequate lighting, it can cause a negative mark that will be hard for you to sell. Owners always make their money back on a good bathroom remodel. If your bathroom is dysfunctional or not meeting your family needs, and you know you are going to stay in your home for a long time, then a bathroom remodel is necessary. Making a bathroom functional can be very affordable when you consult with one of our remodeling specialist. We offer an array of options that meet just about any budget. 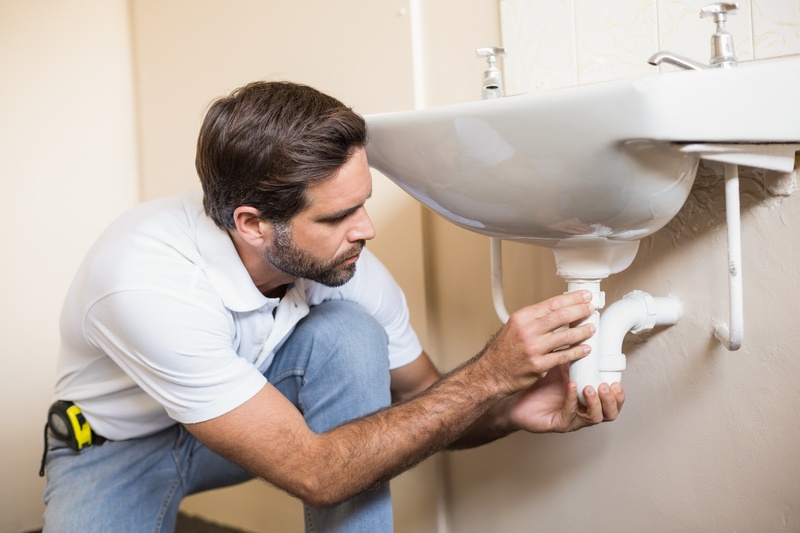 If your bathroom has encountered water damage, chances of damage spreading to the rest of your home is very realistic. Damage can render your home unsafe and also cause instability in your homes foundation. Once damage goes unchecked, you can be talking about huge repair bills. That is why it is always important to make repairs right away, safeguarding your investment. Many folks choose to update when damage occurs. If you need a free quote on a bathroom remodel or any other home remodel, give us a call at 505-688-8194. We provide services throughout New Mexico, including Albuquerque and Santa Fe, New Mexico municipalities.